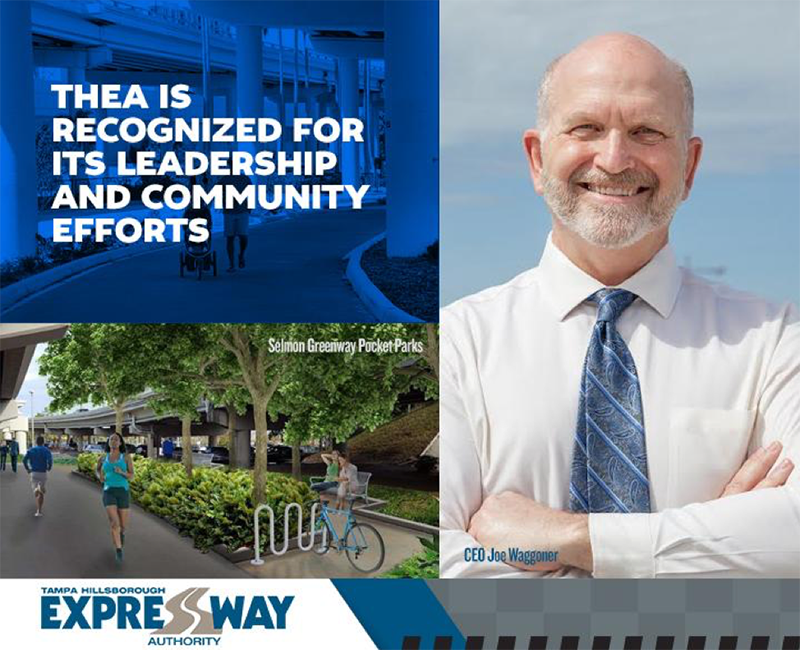 Joe Waggoner is a transportation leader and the CEO of the Tampa Hillsborough Expressway Authority. When he began his tenure, THEA’s future was uncertain. Under his leadership, THEA has transformed into an independent, self-sustaining toll agency. Improvements like a 2017 bond rating of A+ ranked THEA among the top-ranked credit performers, allowing them to do more transportation projects that are 100% funded by toll revenues, not taxpayer dollars. Current work projects include the Selmon Extension that will provide a vital link for commuters driving between Brandon and the beaches and a critical outlet during hurricane evacuations. His focus on innovation, combined with his legislative and business savvy, have enhanced the way transportation initiatives take place in our region. The Selmon Expressway became the first all-electronic roadway in the State of Florida, improving safety while simultaneously reducing emissions. He has been instrumental in obtaining a USDOT grant to make Tampa Bay one of only three places in the country to be a testbed for connected vehicle technology. By the end of this year, THEA will have equipped ten buses, ten streetcars, and the cars of up to 1,600 volunteers with this exciting new technology, making Downtown Tampa a much safer, smarter place to walk, ride, and drive. If you recall, Lee Roy Selmon asked one thing of his Expressway Authority – to find a way to help and mentor the young people at the University of South Florida. Joe has been making good on this commitment through mentoring and developing the Selmon STEM Scholarship program. Each year scholarships are given for paid internships and books for USF Engineering students. Materials and sponsorships are also provided so middle and high school students can participate in the USF Engineering Expo Bridge Building Competition. A series of four parks were created on previously underutilized right-of-way beneath the Lee Roy Selmon Expressway. The Pocket Parks are built between Ashley Drive and Meridian Avenue along a 1.7 mile, 15-foot wide multi-use trail. The award-winning Selmon Greenway provides pedestrian and bicycle access throughout the downtown area with connections between Ybor City, Channel District, Amalie Arena, Tampa Convention Center, and the Central Business District. Transportation infrastructure represents the largest share of public space in a city and has historically been forgotten for use as communal places. The Pocket Parks increase park space in Downtown while enhancing the safety and comfort of Greenway users seeking shade during the day, light at night, benches, bicycle racks, or just to enjoy the landscaping. Art and historical monuments, cooperatively developed with input from diverse community stakeholders, help foster a relationship between Greenway users and Downtown’s cultural and social venues. The judges viewed Pocket Parks as a fundamental reimagination of how transportation infrastructure can contribute to a community’s identity and sense of place. They praised THEA for softening the hard streetscape and for altering the traditional conception of transportation infrastructure by going above and beyond to create a community asset enjoyed by diverse users. Each year an awards jury representing a cross-section of Downtown constituencies selects award winners who have made significant contributions that have made a lasting and positive impact on Downtown. 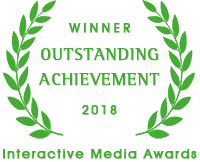 Awardees are honored for their leadership, innovation, hard work, talent, and community spirit. The Selmon Greenway Pocket Parks is a finalist in the Activating Spaces category.